As a result of war, all the Chinese families are forced to give one man to the army. As in Mulan’s family there is only a very old man, Mulan decides to pretend to be a man so she can go to war instead of her father. 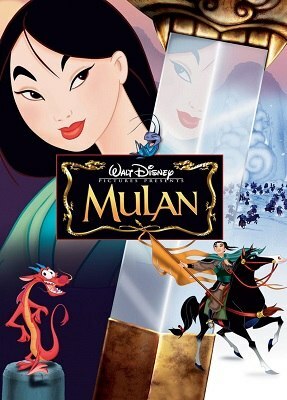 When her father finds about Mulan joining the army, he asks the ancestors to protect her, and they respond by waking up the Great Stone Dragon…only that he never wakes up, and the only dragon that is going to help Mulan is a small size dragon called Mushu. Mushu will help Mulan with seeming to be a man and with merging with the other men in the army.